Kidslogic crossover with Beast Kingdom Taiwan and they bring us the super cute version of our favorite superhero Iron Man Mark 4! 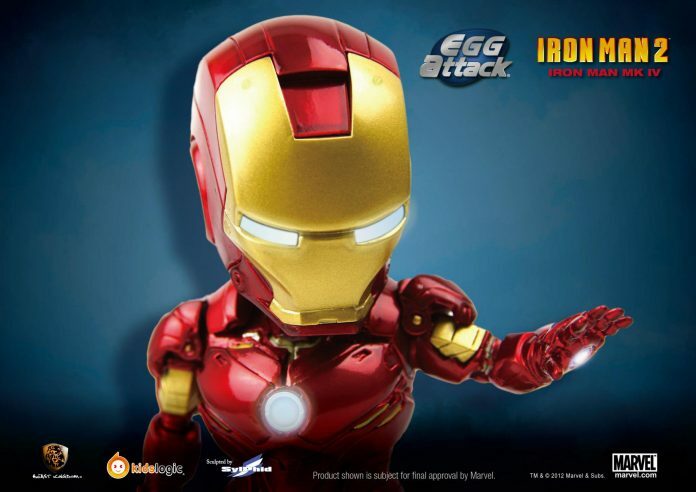 Toy Garden and Toywiz Malaysia will be taking order for this little cute Ironman and estimated release date is end of year 2012 (Dec 2012). There will be War Machine and Mark 6 figures in the lineup and we included the photos here for your reference, there will be coming up later. Stay tuned with us! Hi! I would like to get the egg attack war machine. How do i get it? Do you ship to singapore? When will i be able to get it? Do you have it ready stocked at your store in Sg Wang? If I pre-order this, may I know when can I get it?